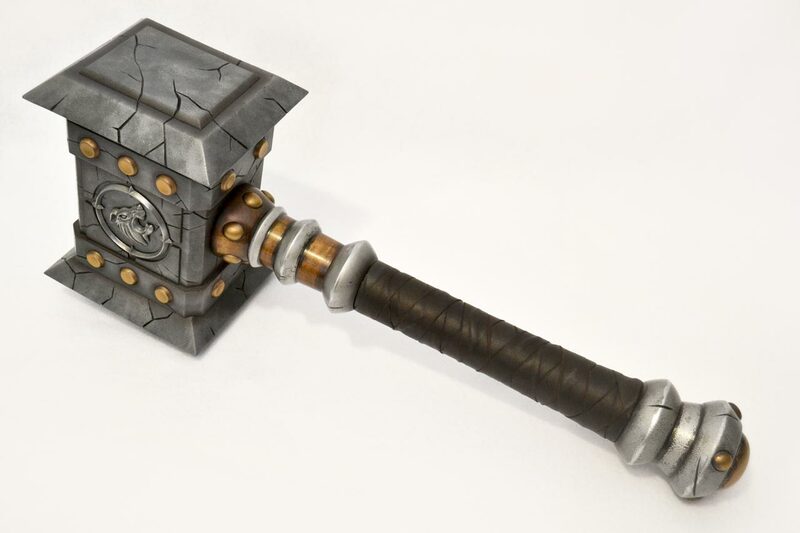 This massive bludgeon was built as a costuming piece, and therefore needed to be as lightweight as possible. 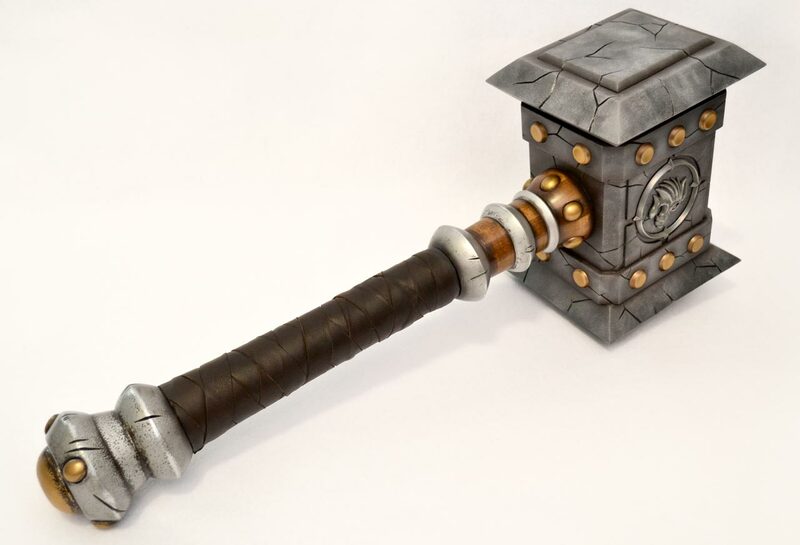 By making the hammer head from hollow foamed PVC, the result is a piece nearly 3 feet long from hammer head to pommel, yet it weighs only 8lbs. 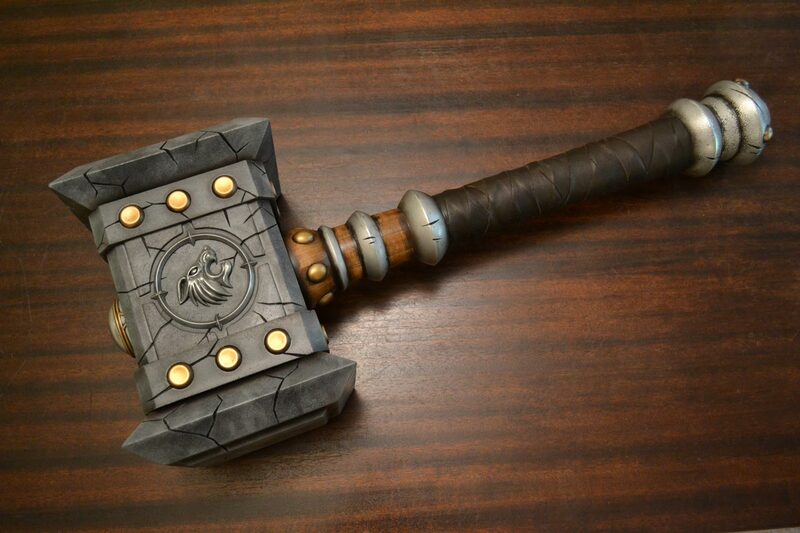 Natural wood and leather elements were used for the handle, neck and grip in order to look as realistic as possible. 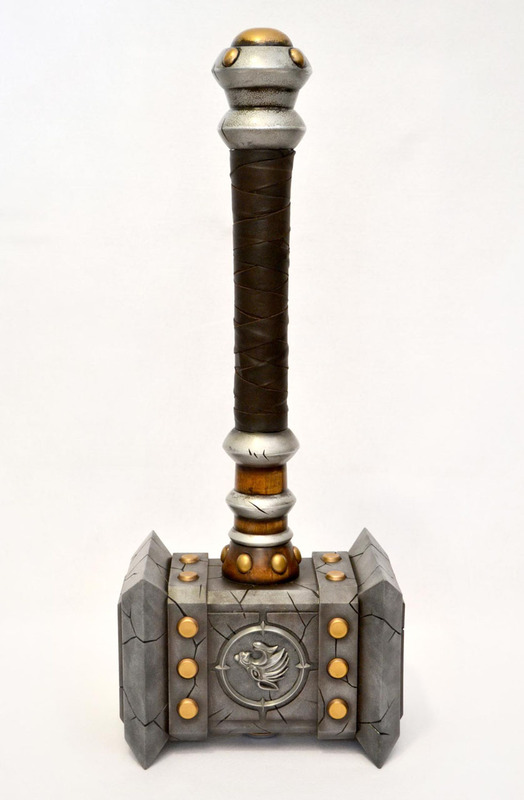 The additional weight on the handle of the hammer serves to counterbalance the larger head, making it easier to hold and carry. 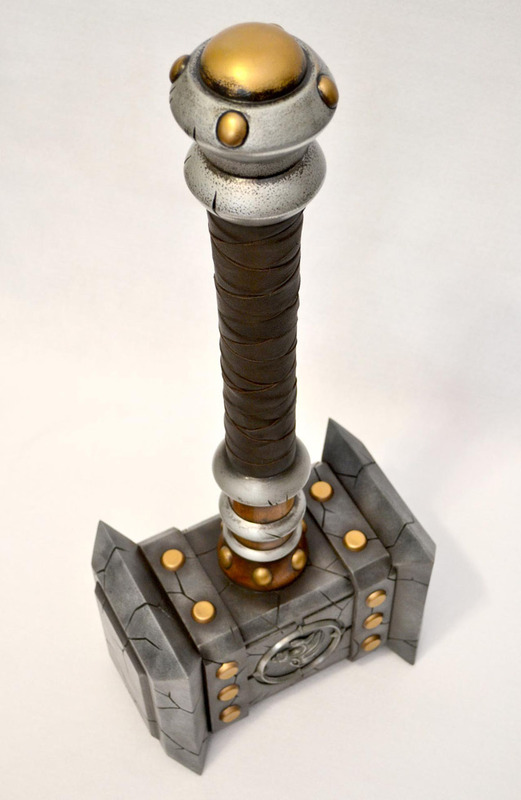 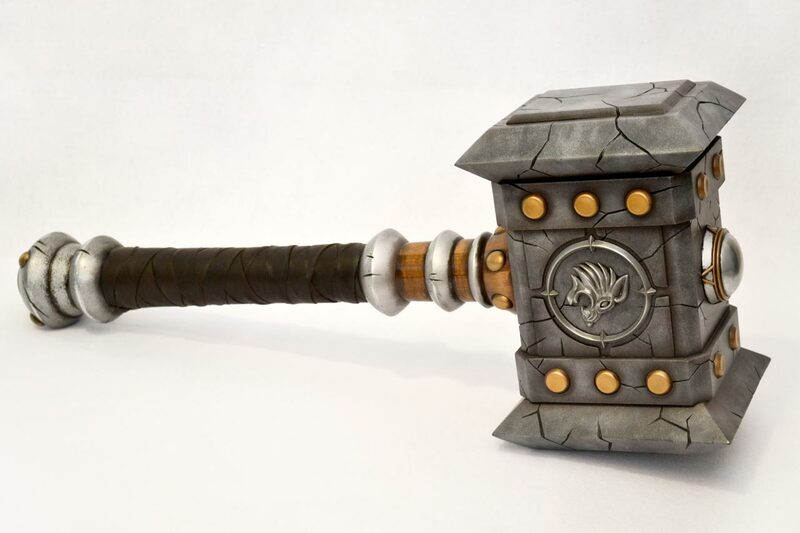 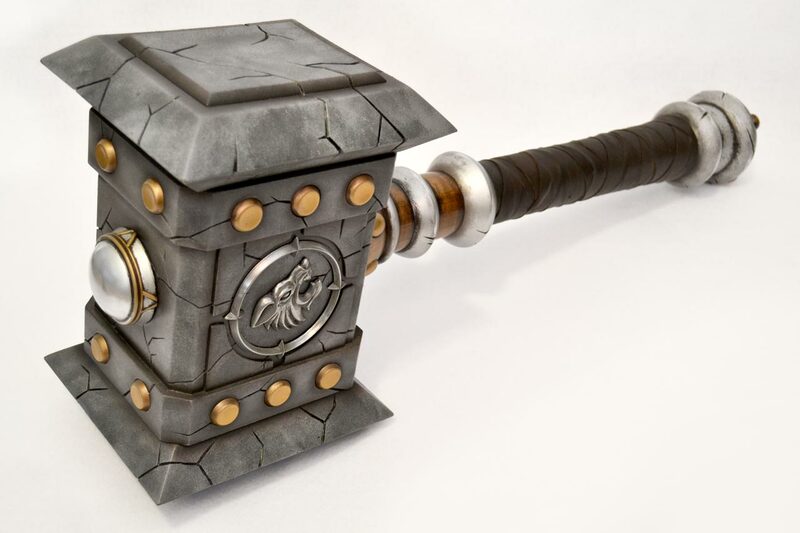 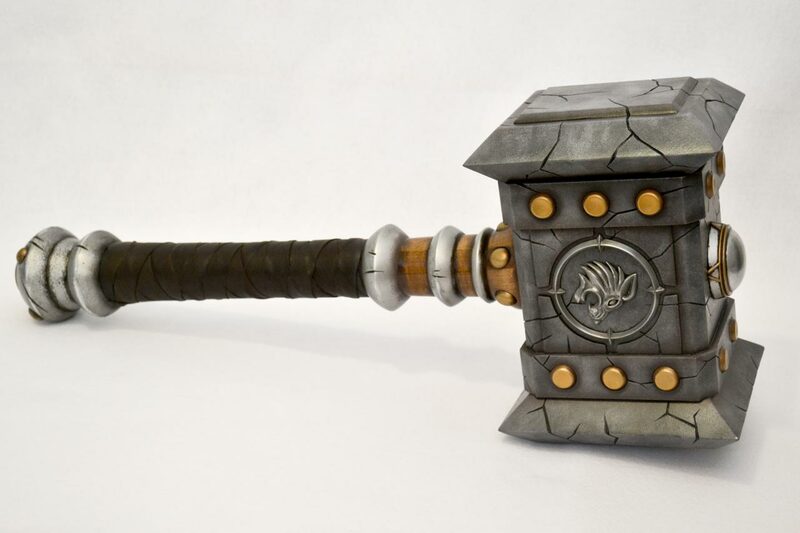 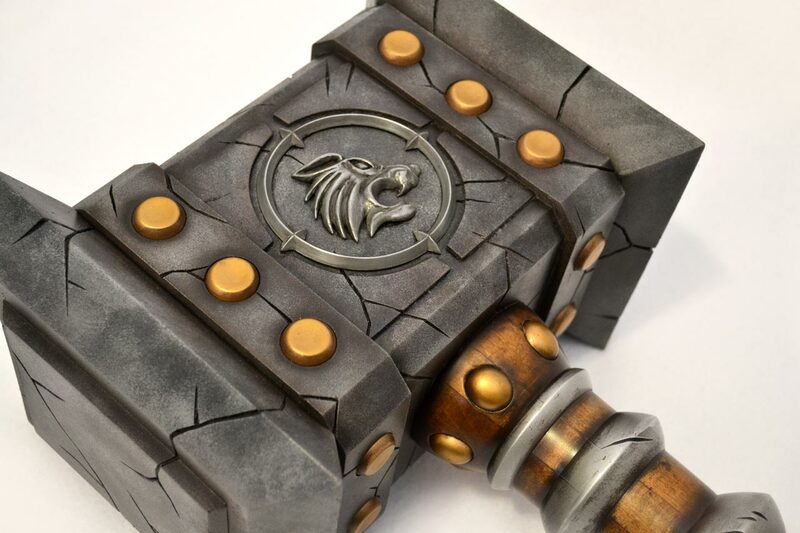 Click here for the World of Warcraft Doomhammer design and build log.